Prison populations have a disproportionately high rate of people suffering with mental health or behavioural problems. 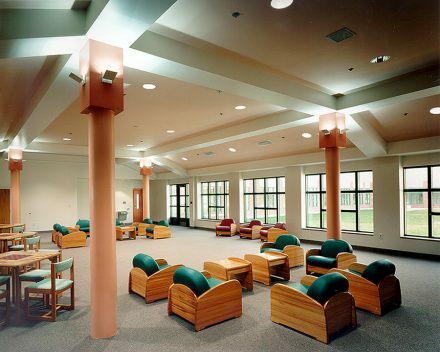 In a new report, Dr Marayca López and Laura Maiello-Reidy of CGL Companies, LLC, a pre-eminent criminal justice planning and design firm based in New York, explain how prison design can significantly improve the living conditions of mentally ill prisoners. 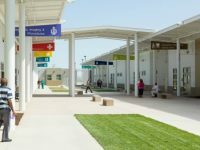 They share design principles that can help create correctional buildings that have a restorative, not detrimental, impact on prisoners suffering from mental illness. This blog is an introduction to the report. The full version can be accessed here. Read the full report by Dr Marayca López and Laura Maiello-Reidy. Read PRI’s short guide to the Nelson Mandela Rules, the revised Standard Minimum Rules for the Treatment of Prisoners, which require the provision of adequate healthcare, including mental healthcare and transfer to specialised institutions or to civil hospitals where specialist treatment is required. Main photo: Delaware Co-ed Forensic Mental Health Facility, RicciGreene Architects Design. Credit: CGL archives. Research sources for this blog include telephone interviews and email exchanges with the following contributors: Ken Ricci, FAIA and Stephen Carter, AICP (CGL); Dr. Randy Atlas (independent consultant, USA); D. Bruce Henley, AIA, LEED AP and Margaret S. (Meg) Bower, MPA, AICP, LEED AP BD+C (Dewberry Architects Inc., USA. ); Paul Y. Nagashima, AIA, LEED AP (HDR, USA); Robert Boraks and Roberta Somlo (Parkin Architects Limited, Canada); Don Thomas, CID (BWBR architects, USA) and University of Technology Sydney (UTS)/Kevin Bradley, Australia). Dr Marayca López is a Senior Corrections analyst and planner for CGL Companies, LLC a pre-eminent criminal justice planning and design firm based in New York, which specialises in providing secure and normative environments that promote positive behavioural change and successful re-entry. Laura Maiello-Reidy was formerly the Senior Vice President of CGL Companies, and is currently working with CGL in a consulting capacity.